ROBBINS, Ill. -- Authorities say a police officer who was responding to a shooting at a suburban Chicago bar fatally shot an armed security guard who was working there. The Cook County sheriff's office says officers responded shortly after 4 a.m. Sunday to a call of shots fired at Manny's Blue Room in Robbins. Sheriff's spokeswoman Sophia Ansari says an officer from nearby Midlothian arrived and shot a man later identified as 26-year-old security guard Jemel Roberson. 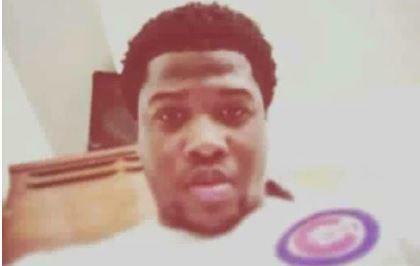 The officer shot Roberson despite people "screaming" that he was a security guard, said Adam Harris, who told WGN-TV that he witnessed the shooting. Witness Rev. Marvin Hunter said Roberson played the organ at his and other area churches, and called him an "upstanding" man. Witnesses said Roberson was armed and was holding down the gunman responsible for the initial shooting, when the Midlothian officer shot him, reports CBS Chicago. Roberson's mother has filed a federal lawsuit against the unnamed officer and the village of Midlothian, accusing the officer of using excessive force, the station reports. The lawsuit alleges the officer's decision to shoot Roberson, an aspiring police officer, was unreasonable, unprovoked, and unjustified. "We're still processing," pastor and family friend LeAundre Hill told the station. "To be on the job, saving lives – again, which is what he loves to do, just to help people – and then to lose his life, in essence doing what he wanted to do, is just complete devastation." Ansari says four other people had gunshot wounds, but their injuries weren't considered life-threatening. She says at least one of them was believed to have fired shots during the shooting before police arrived. The suspected gunman remains hospitalized and charges are pending against him, she said. Officers from Robbins and Midlothian were the first on the scene. Robbins police Chief Roy Wells told reporters Sunday the initial shooting stemmed from an argument. Illinois State Police have taken over the investigation. The agency didn't immediately return a message seeking details about the case Monday. Midlothian Police declined to comment on the circumstances of the shooting until the state police investigation is completed, reports CBS Chicago. Midlothian Police Chief Daniel Delaney told the station the officer involved is on paid administrative leave. Delaney told the station the unidentified officer has been with the Midlothian Police Department for about four years, and was previously an officer at another department for three years. The officer is a Midlothian patrol officer, and team leader for the South Suburban Emergency Response Team, a regional SWAT team, Delaney said. Family and friends told the station they believe the officer may have mistaken Roberson for the gunman. "They just want answers, so that his mom, his loved ones can have some peace, if there's ever any peace that comes with these type of situations," Hill said.